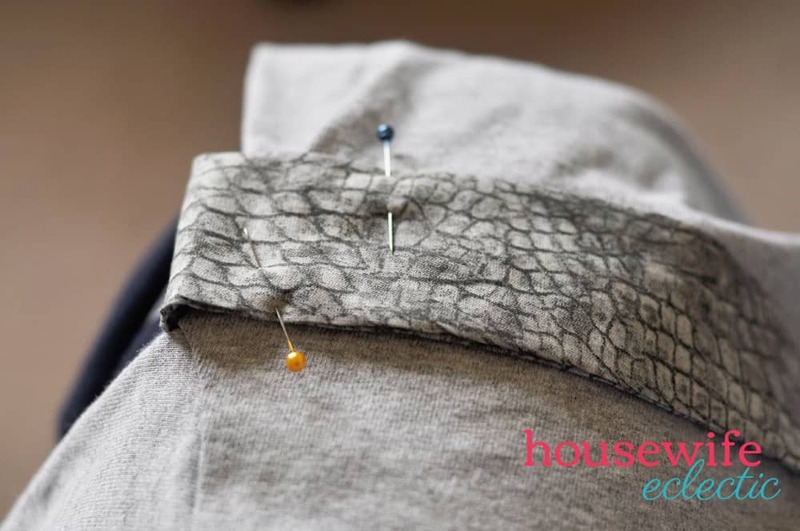 I am back today with another t-shirt dress tutorial for you! We absolutely adore these t-shirt dresses in our house. They are soft, stretchy and easy to turn into a cosplay for any occasion. In the past, we have shared tutorials for the basic t-shirt dress, a Belle version of the t-shirt dress, a Mary Poppins version, DIY Weeping Angel costume and today, this easy and cute Dalek Costume! Both my best friend Lorene and I are huge Doctor Who fans. We love heading to Comic-Con to see our favorite actors from the show and we love dressing our girls up in little baby cosplay! Our first time we dressed our girls like the Tardis and a Weeping Angel and the next day we did an Adipose and a Dalek! This t-shirt dress was actually only my second ever dress like this. Sewing has never been my strongest skill and told Lorene she was going to have to hold my hand through the whole process. I was absolutely shocked by how easy it was and have made many since. The best part of these dresses (and this cosplay) is that it is inexpensive, quick and easy to make, as well as being stretchy and comfortable. So, on to the dress. Lorene and I made the Mary Poppins version during a live show over on Facebook, so if you want to follow along “real-time” you can watch that video here. 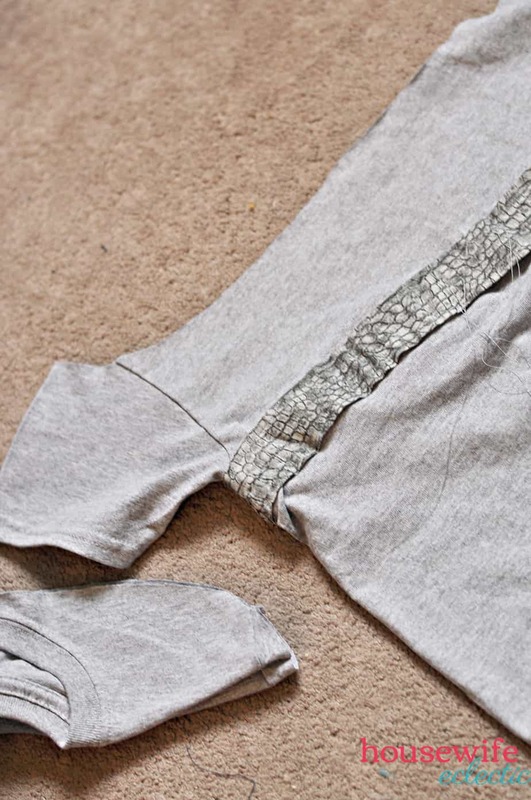 This Weeping Angel costume starts out just like the girl’s t-shirt dress tutorial here. Trim the top of the shirt and create the neck casing, but don’t add the elastic to the neck yet. 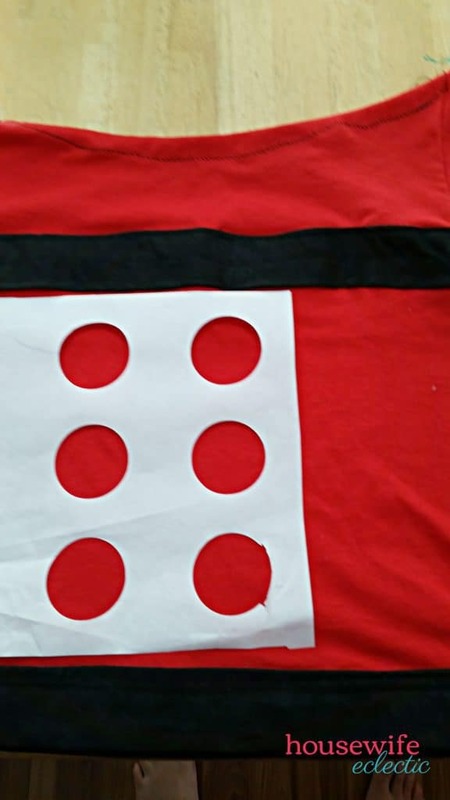 Before you add any elastic to the dress you want to add the spots for the Dalek. I cut the circles the size and distance apart I wanted them on my Cricut using freezer paper. I then put the freezer paper shiny side down on the dress and ironed it to the dress. 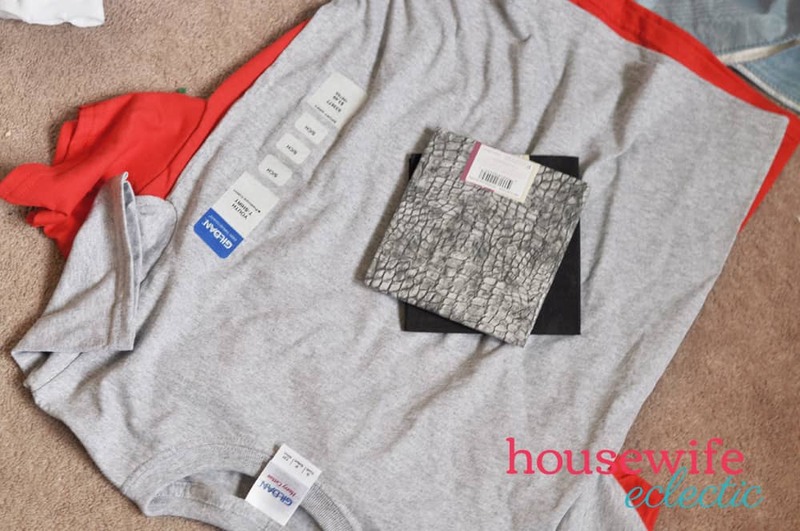 Freezer Paper gives a great temporary hold, so you can use it as a stencil. I used a foam brush and dabbed the black paint into each circle and then waited for it to dry completely before adding the waistband. The main thing that makes this dress different from a basic t-shirt dress is using a contrast waistband instead of a shirred one like in the basic t-shirt dress tutorial. To create the waistband, you’ll be creating a loop of doubled-up fabric to overlay the waistband, and then the elastic will be inserted between the t-shirt and the waistband. 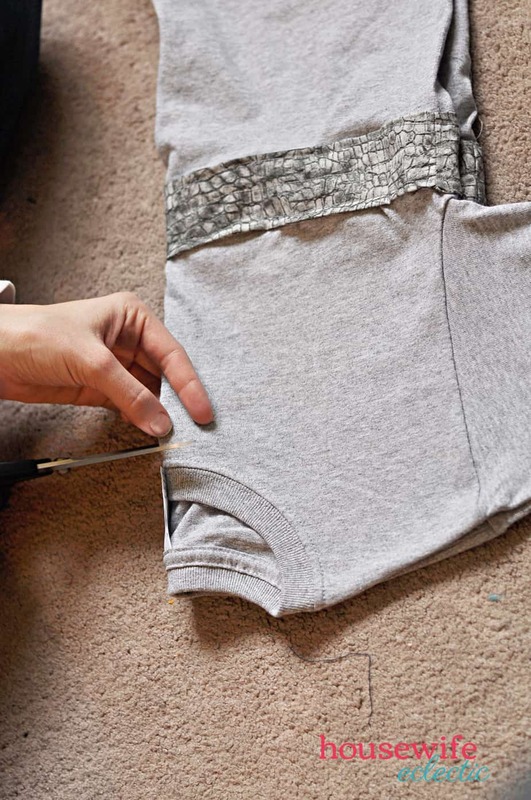 If you have fabric yardage, cut one long strip that is about 6 inches wide and double the width of the t-shirt, when measuring from side to side just below the sleeves, plus an inch (or more) for turning/seams. If you are using a fat quarter like we did, the width of the fat quarter is about the same width as the shirt, so we cut two pieces 6 inches wide, and then sewed together one short edge (right sides together) to form one long piece of fabric, 6 inches wide and approximately double the width of the t-shirt so it will wrap all the way around. For the exact sewing of the waistband, I’m going to direct you to the Mary Poppins Dress Tutorial. Lorene did a beautiful write up with step by step pictures and I don’t think I can say it any better. After you have sewn the waistband, threaded the elastic through the channels and closed up the waistband, you are ready to finish the rest of the dress. Finish up the dress by adding the neck elastic and shirring the sleeves like in the original tutorial. Which Doctor Who Character would you dress up like? I am so happy to be including my costume tutorial in a round up of other fun Halloween sewing tutorials. Check them all out below! Check out all the fun Halloween Inspired Tutorials everyone is making! 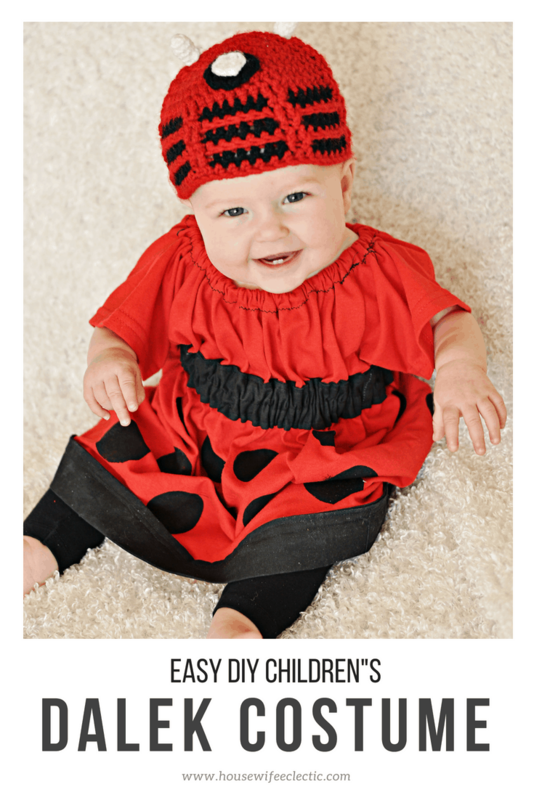 9/6 SoOkEe Designs | Pattern Revolution | Coral + Co.